Advance Seat Assignment or Advance Seat Selection used to be a free facility that most airlines offered but now sadly, as most airlines have decided to charge for every little extra, it has now become one of those annoying costs that airlines impose on you. Yes, the low cost airlines have certainly cottoned on to the fact that many people would prefer to choose their seats before they actually board the aircraft and as a result, charge passengers for the privilege! Some airlines still use the old traditional method of allocating seats to passengers when they check-in with their baggage for their flight but this is becoming less common. If you are happy to just turn up at the airport and board the aircraft and then take whichever seat is available, then Advance Seat Assignment will not really interest you but if you are someone that needs to know where you are sitting, then it just might! There are various reasons why passengers use Advance Seat Assignment and it is generally because people do not like the seat that has been allocated to them. Some airlines do not allocate seats and it is simply a matter of boarding the aircraft and choosing your own seat once you are on board the aircraft and this is generally more common on the low cost or economy airline flights. For many people, the idea of not having a seat assigned to them is not ideal and they believe they will not get a seat! Air travel is not like rail travel where by even if you have a ticket to travel, you could end up standing! If you have a boarding pass for a specific flight, then it means you will get a seat. However, this said, the seat you end up with may not be the seat you had wished for and you will then just need to grin and bear it. If you are concerned about the seat you may end up with, then you can pre book your seat by using the Advance Seat Assignment facility, that most major airlines now offer. The majority of airlines now offer passengers the opportunity to pre book their desired seat(s) in advance. As I mentioned earlier, some airline charge you for this service, whilst some airlines offer you the facility for free. There are several airlines that will allocate you a seat at the time of booking but will allow you to change your seat after booking if you are not happy with the seat you have been allocated. If an airline allocates you a seat at the time of booking but does not have a facility on their website to change the seat, then you can more often than not, change your seat at the airport at the check-in desk on the day of departure. Obviously, when you are booking your flight and you are allocated your seat(s), you may not be allocated the seats you desire. Some people prefer an aisle seat especially if they are tall, whilst others would prefer to be sat next to a window. If you are travelling as a family or in a group, it might be that you would all like to sit together and if you are allocated your seats by the airline, it may result in you becoming separated from you party and end up dotted around the aircraft. This is when ‘Advance Seat Assignment’ is very useful, despite it costing you money and it can be beneficial when you are travelling both for leisure or business. 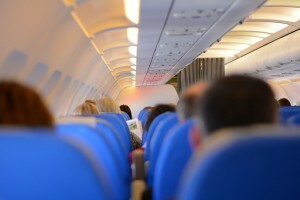 If you as a passenger have certain seats that you would like to sit in during your flight, then it will be money well spent in order to secure those seats. There are certain seats on some flights such as ‘Exit Row’ seats’ and front row seats, that are not normally allocated to passengers and have an extra charge should you wish to sit in them. The reason for this is simply that these seats provide passengers with extra leg room, so the airlines capitalise on this fact. All airlines have their own policies regarding seat allocation and there are some airlines that will allow you to swap or change you seat allocation as many times as you like before your departure date, for free. Most airlines offer the Advance Seat Assignment facility Online via their website. Once you have booked you flight, you will generally be able to login to manage your booking via the airlines own website. Once you are logged in to your booking, you will be able to manage your booking and choose or change your seat allocation. Once again, this all depends on which airline you are flying with. Some airlines allow you to book your seats immediately after booking you flight, whilst other airlines only allow you to book them a certain number of days prior to your departure. Other airlines will only allocate your seat at check-in and if this is the case, you should ask the member of staff at check-in, if they can allocate the seat of your choice such as an aisle, window or seat at the back or front of the aircraft. Obviously, this is dependent on which airline you are travelling with and also which standard of class you are travelling in. As I mentioned previously, all airlines policies are different and are subject to change. Some airlines offer you the facility free whilst others will charge you a fees on top of the original air fares. You tend to find that the larger airlines such as British Airways who provide long haul flights allow passengers to choose their own seats free of charge. It generally seems that the low budget airlines such as Ryanair, Easyjet, Jet2, Monarch and even Thomas Cook and Thomson charge their passengers for this service or for changing their seat after booking. Everybody’s circumstances are different and these circumstances do change. You should understand that the choice of seats are limited, especially if the flight is nearly fully booked and then the choice of available seats simply depends on when you book your flight. Once again, the amount of time you can change your seat will depend on the airlines policies regarding Advance Seat Assignment. All airlines policies are different in terms of Advance Seat Assignment and some airlines do charge passengers a fee for this service. If you would prefer to pre book your seat and have the peace of mind that you will be sat in the seat of your choice, then using the service and paying the fee might be worth the money. If you are only travelling on a short flight, then you may able to put up with seat you are allocated for those miles you need to cover. If you are unsure you should contact and check with the airline to which you are travelling with, to find out more about their policies on Advance Seat Assignment.